Jonathan Larney has a headache. A persistent one. He knows it so well that it’s the antagonist of his memoir My Head Hurts! My Struggle with the Headache That Refused to Stop. “My headache started on August 1, 2011, and the odds of my type of headache going away significantly drops after two years.” For this unique sentimental reason, Larney, 24, aimed to publish his first book near this anniversary to celebrate achievement over adversity. I found his memoir to have an inspiring universal message of hope. 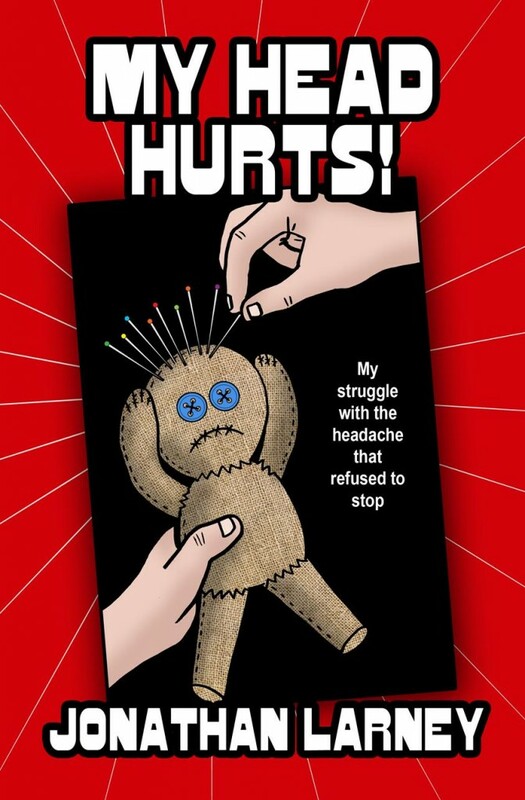 Whereas books about other medical conditions usually have this, too, most everyone relates to having a headache. Larney writes how his consistent condition fluctuates as he metaphorically describes what the headache is like to live with, often to achingly funny results through his sharp wit and pop culture references. I was uplifted and sometimes angered reading his experiences with those in the medical world, his workplace and community. Additionally, I was surprised to learn how hard he’s worked to cover up his pain and not share much about his condition. Preparing to share his story with the world, he contacted me in mid-June inquiring about pricing and process for the final line edit. After a trial run of editing the first two chapters, he hired me, and the project was completed in less than ten days. Larney’s compelling story raised my knowledge, compassion and interest. Demonstrating commitment and perseverance, he wrote through the personal challenges of considering the most compassionate way to share his secret while living with a never ending headache. Wanna write your memoir? Join the Memoir class! What happened to Jonathan’s headache? I’m sorry to say, but last I heard, he still has it. However, he’s also published a children’s book and working on another while leading a good life.